Though now officially back in the arms of her vampire boyfriend Magnus, Sunny finds she still can't forget the gentle mortal Jayden who once saved her life. And when the darkness threatens to steal his humanity, Sunny finds herself with a choice. Stay true to Magnus and the Blood Coven or defy them in a desperate attempt to save Jayden's soul. Meanwhile, the Blood Coven is gearing up for its toughest fight yet—going head to head with a splinter group of Slayer Inc who's regrouping in Tokyo, Japan, still determined to take over the world. In dark blood bars and hidden temples, it'll be Vampires vs. Slayers in a showdown that could cost Sunny not only her heart...but also her very life. To enter, comment on this post and include an email address (formatted like: cynthia at cynthialeitichsmith dot com) or a link to an email address. Or you can email me directly with "Blood Ties" in the subject line. Author-sponsored. Eligibility: North America. Deadline: midnight CST Aug. 13. Kids Don't Read Like They Used To...and That's a Good Thing by Mari Mancusi from Cynsations. Peek: "The DVD extras generation is looking for an entire multimedia experience when he or she delves into a book. They want the world the author created to live and breathe, and they want to become a part of it." From Mari: "Order an autographed copy of Blood Ties from me, and I will throw in a young adult paranormal sampler, produced by my publisher... Cost is $9.99 for book, $2.50 for shipping. (Please inquire if international.) Total of $12.49." While supplies last; see details. I would love to win this for my daughter, who has got to be the biggest Blood Coven fan out there! Awesome series. Cant wait to read this one. 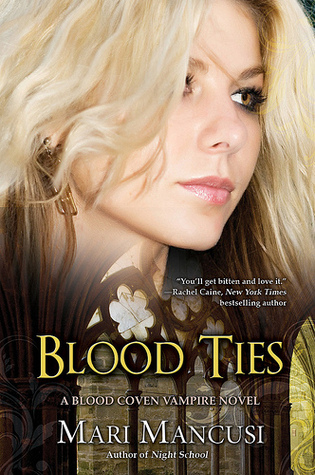 Please enter me for a signed copy of Blood ties!!!! Please enter me in the contest for a copy of blood ties. 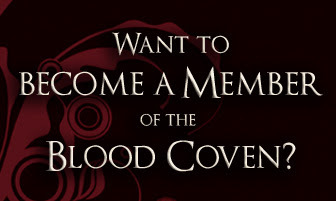 I love the Blood Coven books. I'd love to win. I would love to win this book. I love the series.